Oscar nominations were just unveiled today, and I've got to say, it makes me proud to be part of The Walt Disney Studios team. Films released by The Walt Disney Studios received a total of 17 Oscar nominations when the Academy of Motion Picture Arts and Sciences announced its nominations for excellence in motion pictures in 2012. The Disney-distributed film Lincoln earned 12 nominations, the most of any 2012 film, while Disney and Pixar’s animated films earned four and Marvel’s The Avengers received one. 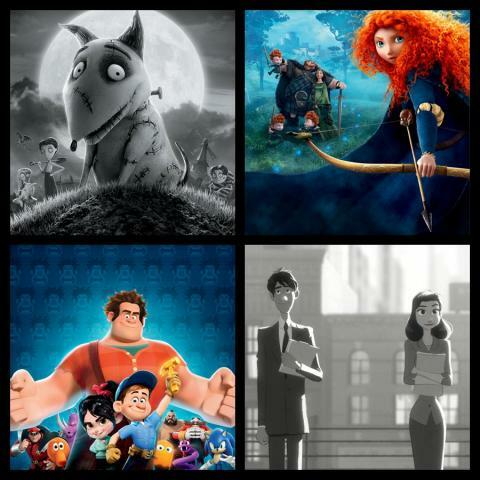 All three animated films released by Disney in 2012 – Disney/Pixar’s Brave, Disney’s Frankenweenie and Walt Disney Animation Studios’ Wreck-It Ralph – were honored in the Best Animated Feature Film category. The films have already received Golden Globe, Annie Award, and Critics Choice nominations. Walt Disney Animation Studios’ short film Paperman, which ran in theaters with Wreck-It Ralph, also received an Oscar nomination. Marvel’s The Avengers was nominated in the Visual Effects category. 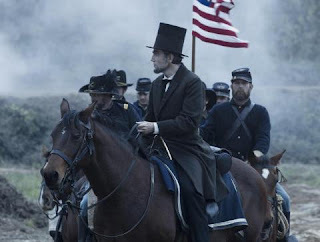 Lincoln, from DreamWorks Pictures and Twentieth Century Fox in association with Participant Media, was nominated for Best Picture, Directing (Steven Spielberg), Performance by an Actor in a Leading Role (Daniel Day-Lewis), and Adapted Screenplay (Tony Kushner), among others. The much-lauded film was released domestically under the Touchstone Pictures banner, through Disney’s marketing and distribution agreement with DreamWorks Studios, which took effect in 2011 with such hits as The Help, Real Steel, and War Horse. The 85th Academy Awards will air live on ABC on Sunday, February 24. Be sure to check out Oscar.com for a complete list of the nominations.